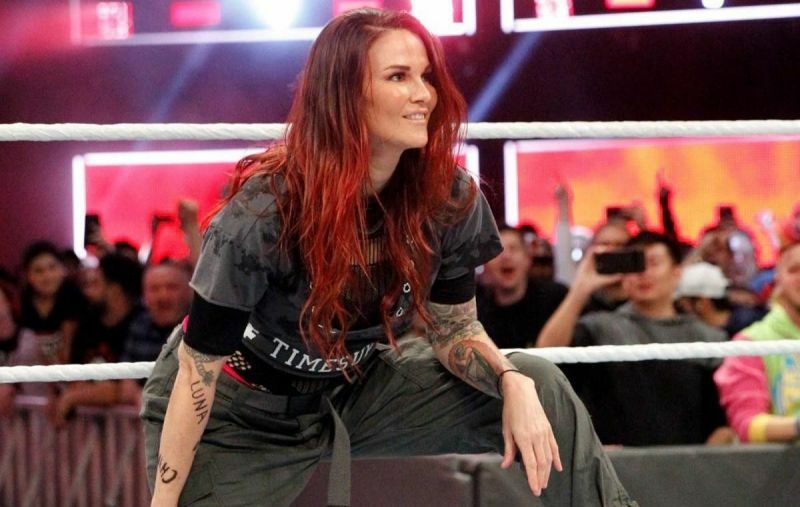 WWE Hall of Famer Lita is currently scheduled to face Mickie James at WWE Evolution next month, but the former WWE Women’s Champion made an unadvertised appearance at MCW’s Tag Wars event in Joppa, Maryland. PWInsider first reported that Amy “Lita” Dumas was in Hunt Valley, MD for an autograph signing at the Monster Mania horror convention, and the WWE legend made a surprise appearance at the MCW event, during the six-man tag team match involving MCW Pro Wrestling Heavyweight Champion Dante Caballero and The Guns 4 Hire, as they faced the team of Joe Keys, Bishop Khan and Malcolm Moses. In the video below, referees were incapacitated following a series of referee bumps, Lita came out in a referee shirt, and got into an altercation with Dante Caballero after a near fall. This led to Lita dropping the MCW Pro Wrestling Heavyweight Champion with the Twist of Fate, resulting in Joe Keys’ team picking up the win.